Want to know about Mexican art? 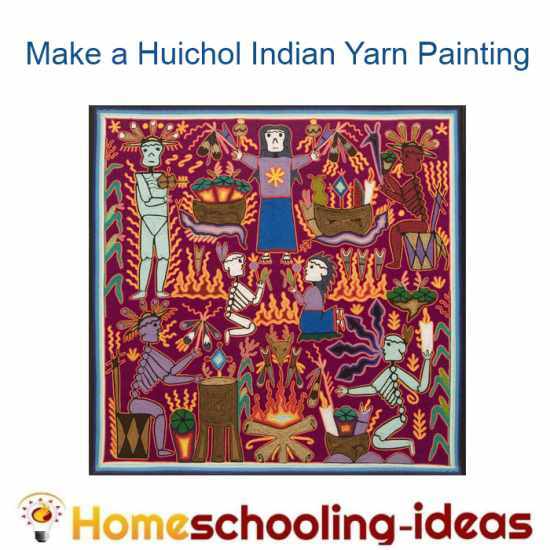 Find out about Huichol paintings, and try making your own painting. Huichol Indians live in the Sierra Madre Mountains of Mexico. They are known for their beautifully intricate yarn art painting and bead work. The Huichol people call themselves 'Wirrarika' which can be translated to mean prophets or healers. 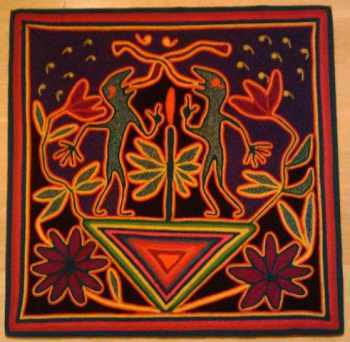 The animals, colors and symbols of the yarn paintings represent Huichol culture and religion. They originally created their paintings on stones, but this has been replaced by a base of wood. Huichol paintings are made with beeswax spread on wood, then left to warm in the sun. The artist then scratches his design into the wax with a sharpened stick. The lines of the drawing are then filled in by patiently twisting and coiling colored yarns. Begin by deciding on the design you wish to use for the painting. You can either draw a design - or use a picture or photograph that you like. Make sure the design is not too small, or it will be too fiddly to fill in. Nice simple shapes are best for beginners. 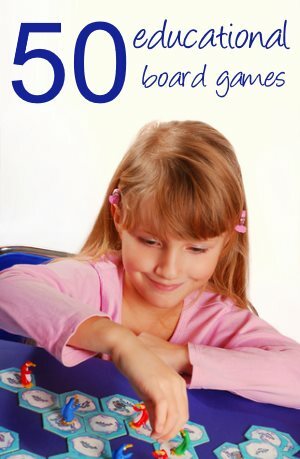 Glue the design onto the board. 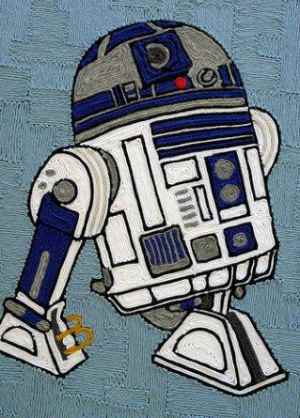 You can now begin to fill in the painting using the lengths of colored yarn. If you are using glue, then simple paint sections of the design with the glue. If you want to use beeswax then this will first need melting - we used a pot on the stove. Then work a section at a time. Paint the design with beeswax and press the yarn into it. Push the yarn pieces closely together so you don't have any gaps. You can varnish your finished artwork - but we liked the softness of the yarn showing. There is a nice tutorial using a photograph of a dog here. You can see some original artworks on this page. You also might like to check out this how-to video. 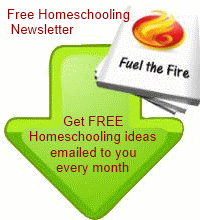 This project works especially well for high school homeschoolers. Huichol Indians have an interesting history, and their designs are many and varied. I am sure teenagers would have fun designing and creating their own yarn paintings. 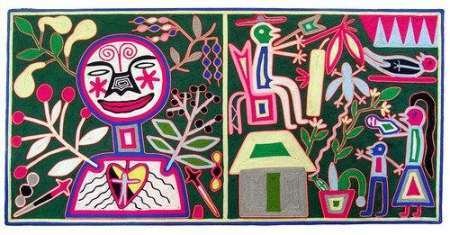 There is a lesson plan from Scholastic on The Huichol Community of Mexico: Communicating with Symbols (grades 6-8) (grades 9-12) and there is a list of Huichol symbols here.